Falling in Reverse frontman Ronnie Radke was recently interviewed by Alternative Press, you can read an excerpt below. 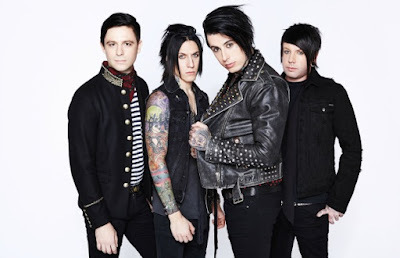 About band's new album, Radke said: "It’s a huge left turn. It sounds like nothing we’ve ever done. Every song is very vibey, There’s more feeling in it instead of a lot of metal. We’re trying to make the sound that we’ve never done before. We’re challenging ourselves now more than we ever have in the weirdest ways possible, because you would think writing the craziest solo or riffs would be the challenging part. But the challenging part is trying to stick to a theme and not go all over the place like we would normally do."